Our first product for Italian brand Zanotta is a side-table in two sizes. Using blown and linear structured glass tubes, the legs get a precious character. 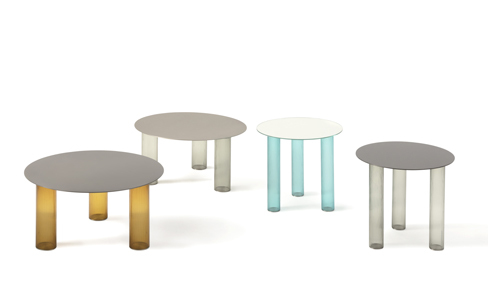 A thin metal or glass tabletop is kind of floating on those color tinted legs.